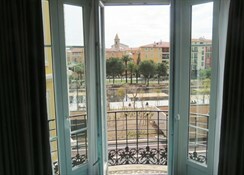 The hotel is wonderfully located in the town centre, opposite the Albert I park. The old town with the pedestrianised area, traditional restaurants and plenty of shopping opportunities is within 200 m of the hotel. The nearest beach and the famous Promenade des Anglais is around 400 m away. Furthermore sightseeing attractions such as the Castle or the Matisse Museum are less than 4 km away. The nearest public transport links are 50 metres away, the city train station lies around 1.5 km away and it takes a mere 30 minutes to get to the nearest airport. 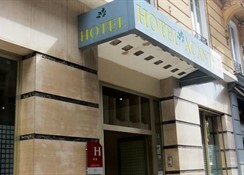 Renovated in 2006, the city hotel has a total of 50 rooms across 5 floors. Amongst the hotel's modern facilities count a foyer with 24-hour reception, a safe and a lift. A breakfast room is also provided. 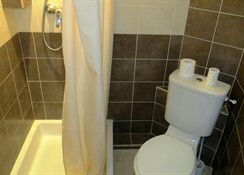 The carpeted rooms come with an en suite bathroom and central heating. 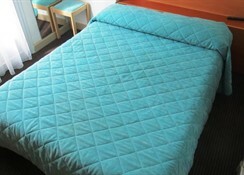 All rooms are well â€“ equipped as standard. 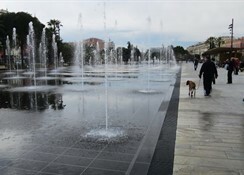 Located in the very centre of nice, facing the albert 1er gardens and its spectacular water jets and just a few steps away from the very famous "Promenade des anglais", The acanthe hotel is the perfect place for the budget traveller wishing to sleep in a centrally located hotel with comfortable and clean rooms! Indeed, all bedrooms are equipped with bathroom with shower and toilets, direct dial telephone, colour television (in some rooms only) and alarm clock. They are decorated in a simple but nice style. Guests will enjoy a continental breakfast before staring the day sightseeing around nice and the surrounding places such as monaco, antibes and cannes, which are all easily reachable by train! And for those travelling by car, there is a public car park nearby. 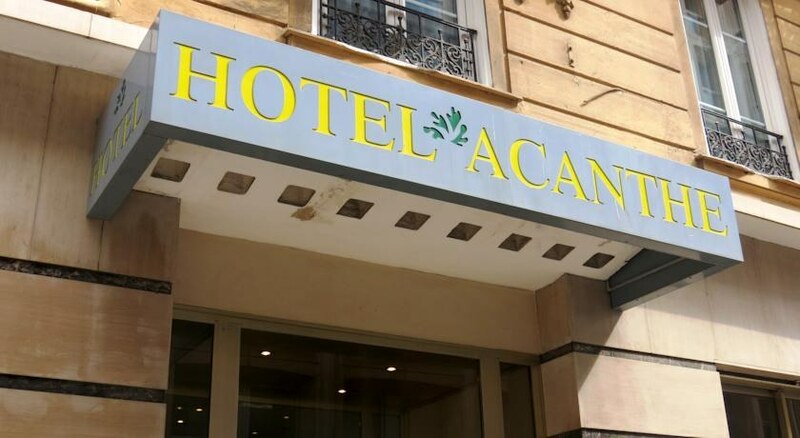 The acanthe hotel is a great value for money!